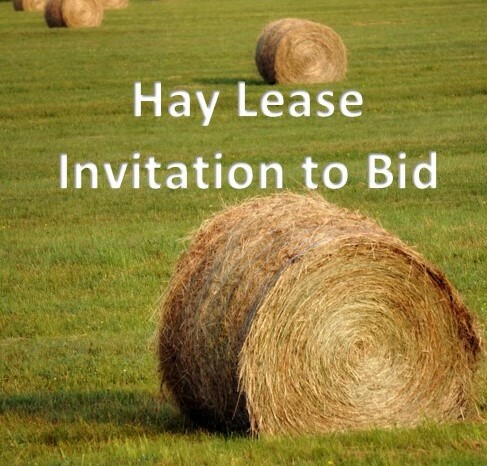 The Jasper County Airport Authority (JCAA) is accepting bids to lease 27.45 (+/-) acres of hay ground at Jasper County Airport for a term of one (1) year, beginning on March 6, 2019 and ending on February 29, 2020, renewable for an additional two (2) terms for a total of three (3) years. Copies of bid packet including the proposed Agreement, Agreement-area exhibit, sample bid format, and Instructions to Bidders are available online at: www.JasperCountyAirport.com/2019-Hay-Lease or from Jasper County Airport Manager Ray Seif, who may be reached at Info@JasperCountyAirport.com, 219-866-2100, or 2326 West Clark Street, Rensselaer, Indiana, 47978. Sealed bids will be opened on March 6, 2019, at 6:30 p.m. Central time within the Jasper County Airport Terminal Building. The JCAA reserves the right to reject any and all bids and to negotiate with persons interested in hay-farming the property following the opening of bids.